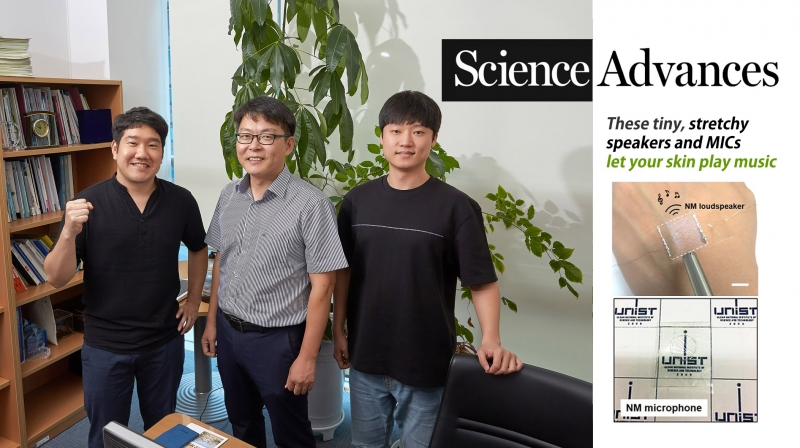 From left are Saewon Kang, Professor Hyunhyub Ko, and Seungse Cho in the School of Energy and Chemical Engineering at UNIST. Their work has been published in the prestigious journal, Science Advances. 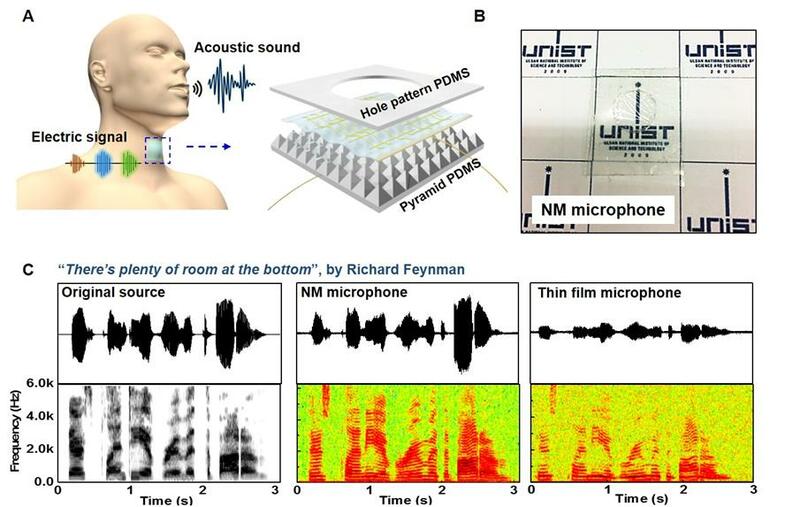 ▲ Paper-thin stick-on speakers, developed by Professor Hyunhyub Ko and his research team at UNIST. 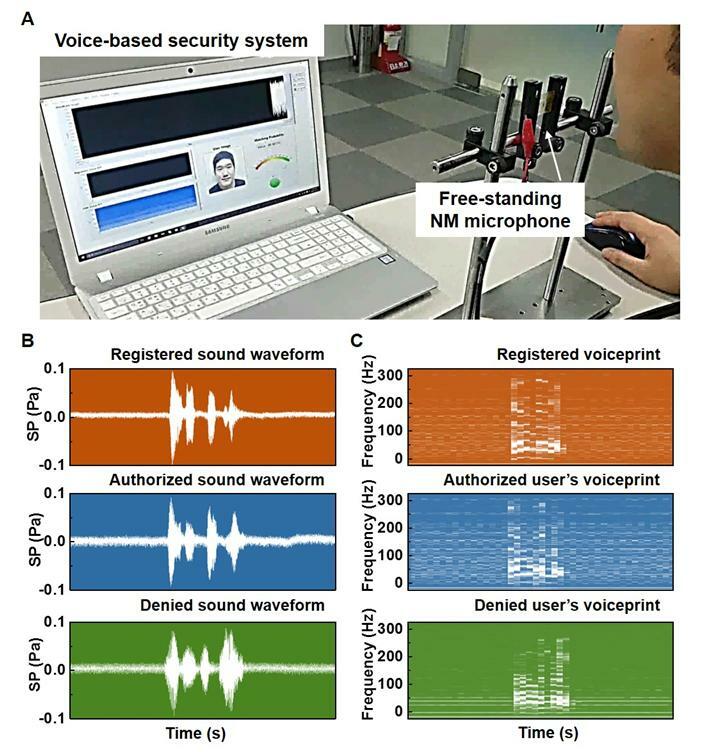 Figure above shows the schematic images of (A) skin-attachable NM loudspeaker with the orthogonal AgNW array and (B) wearable and transparent NM microphone. 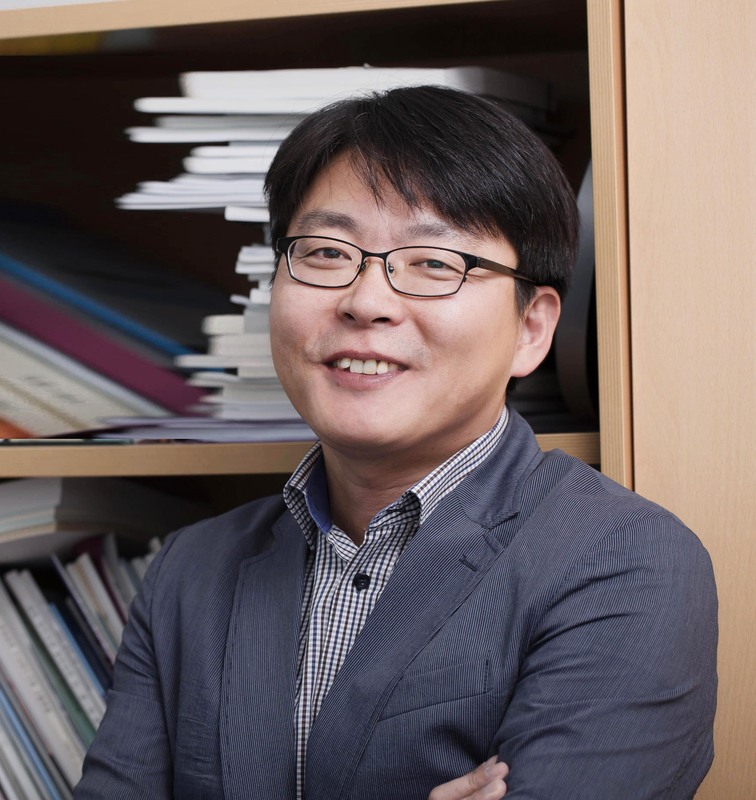 This work has been supported by the Mid-career Researcher Supporting Program by the Ministry of Science and ICT. 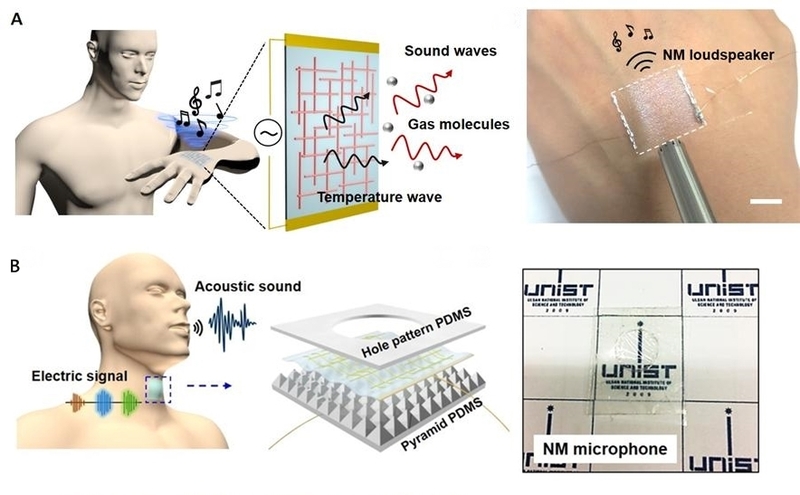 Their findings have been introduced in the August 2018 issue of Science Advances, an internationally prestigious journal from American Association for the Advancement of Science (AAAS). 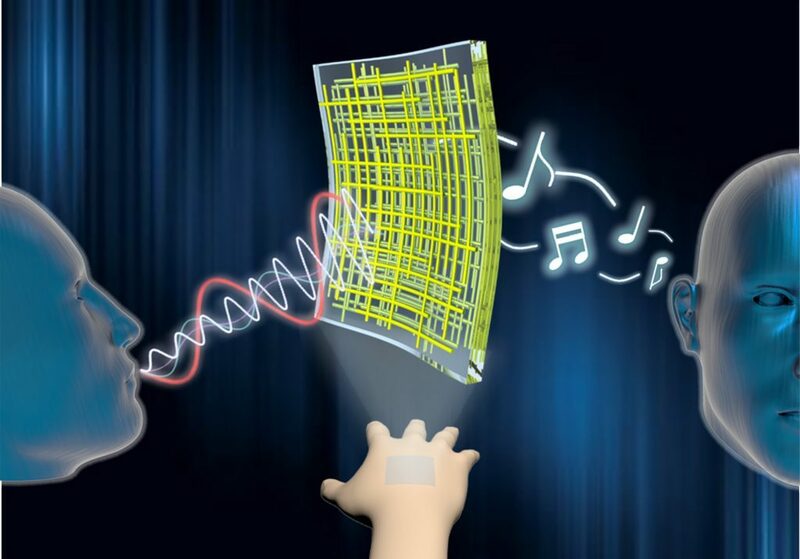 Saewon Kang, et al., “Transparent and conductive nanomembranes with orthogonal silver nanowire arrays for skin-attachable loudspeakers and microphones,” Science Advances, (2018).